Home RAP Group News Over 300% capacity increase? Challenge accepted! 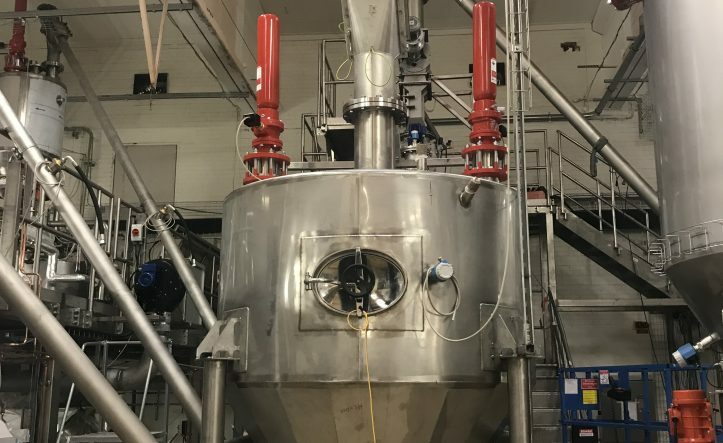 Our latest achievement was to successfully manage a complex project for one of our clients, requesting a production capacity increase from 1.4T/h to 5T/h for a flavored beverage. We managed the entire process from raw materials, processing, transport and eventually packaging. We started with dosing seven different powder ingredients (salt, vanillin, cocoa, inulin, sugar, dextrose and rework) with a precision of 0.1% and amounts varying from 50g to 5T. 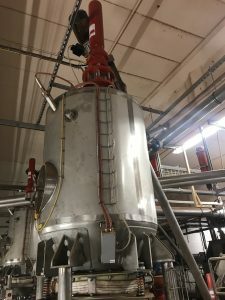 The next steps were mixing, milling, pneumatic and screw conveyors to conveyor belts transport, storage, sieving, rework handling and dust collection. For this last step we commissioned a risk assessment and expert opinion and afterwards delivered and installed the ATEX necessary equipment. Beside satisfying the high European quality standards, our team needed to coordinate the activity of eight third party companies involved in this project and all within a very tight schedule. We take pride in how the startup process was conducted, as everything went according to scheduled times, with correctly calibrated equipment and a fully functional operations team, working seamlessly from the very beginning on a completely updated process and production line. All requests were met with professionalism, within the contracted timeline at requested standards. The end result? We have a highly satisfied customer and we couldn’t be prouder of our team.